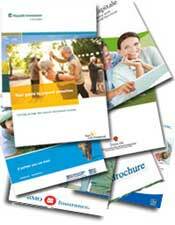 Retiring today is not as simple as it was for previous generations. 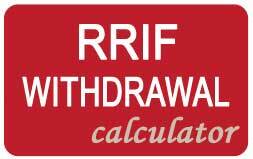 Most new retirees and those about to retire are not counting on pensions with potentially unlimited number of payouts. 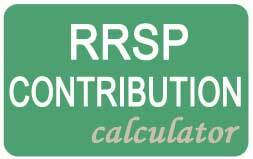 Instead, most people in this situation are counting on limited funds available in RRSPS, Group Pensions and their savings to last them as long as necessary. This leaves many individuals concerned that their money will run out, leaving them high and dry just when they need a steady income the most. 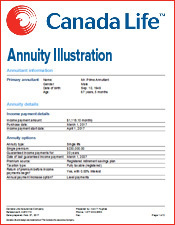 Fortunately, with a life annuity, they can find a simple solution to this problem. 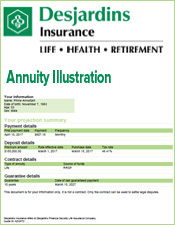 A life annuity acts as a sort of mirror image of a life insurance policy. 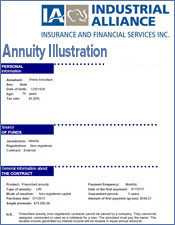 You make a financial contract with a life insurance company. However, instead of making monthly payments to this company in order to maintain a contract, they make monthly payments to you. You have to pay a lump sum up front in order to secure this contract. Then it will last for life and as long as you choose if you want a guarantee. The amount of each monthly payment is fixed. 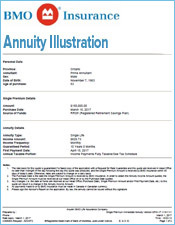 If you share this fear about your money running out, you should investigate the advantages that a life annuity might offer. 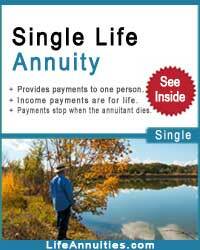 You can guarantee an income for life and for your spouse or partner. 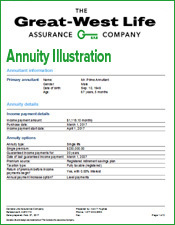 The advantages of this financial arrangement with a life insurance company are significant. 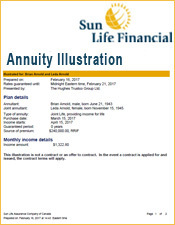 You begin this journey to financial freedom when you contribute one large lump sum to this company. 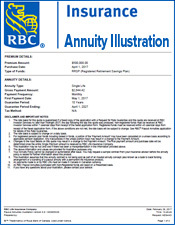 This sum may come from your savings or from any tax protected money that you have been saving for your retirement. 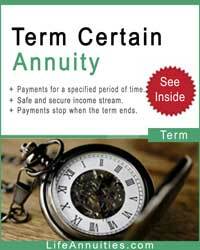 As soon as you finalize the contract and contribute the lump sum, you can begin receiving your monthly payments. Getting started right away allows you to begin enjoying the fruits of your decision. It also lets you begin adjusting to the new lifestyle afforded to you by your new income. Depending on your own funds to get you through your entire retirement is frustrating. 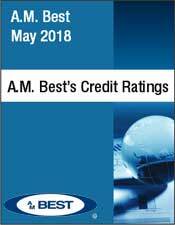 Just when you wanted to be able to relax in life, you find yourself worrying every day about your finances and making nervous adjustments to your investments. 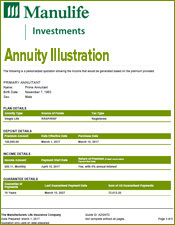 With a life annuity, you can sit back and watch the money flow in. Whether you choose a ten-year guarantee or a life only contract, you can relax knowing that you will have an income until your death. Relieving yourself of the responsibility for your investments can be liberating. 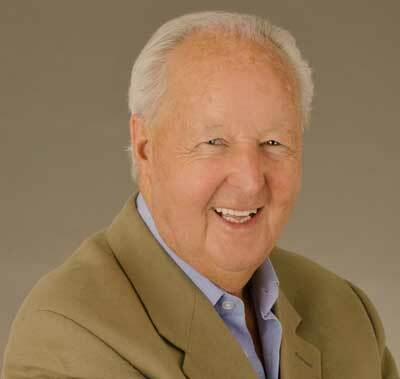 Imagine enjoying your retirement years without losing sleep or leisure time without fretting about the ups and downs of the markets. Your tax rate is determined by a number of factors. 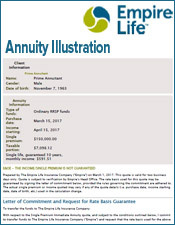 When you buy a life annuity, though, you begin to receive money based on your age, gender and the amount of money used in the deposit. 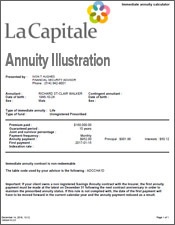 As you receive each monthly installment, the money is classified in two portions: interest and principal. The interest is deemed taxable because it is the ordinary income portion, the return of capital is not taxable. 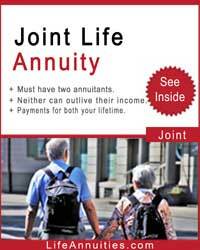 Life annuities are not for everybody. They are a good fit for people in specific financial situations and at certain junctures in their lives. 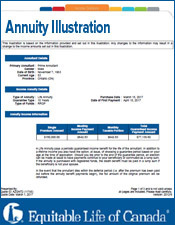 Before you buy an annuity policy, consider some of the potential drawbacks that you may not appreciate. 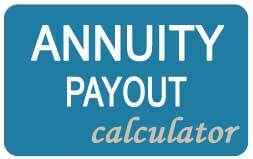 A life annuity gives you the stability of a specific amount of income per month for the rest of your life. Whenever you make an investment in stocks, mutual funds or commodities, you are always free to back out of the deal or sell your investments in order to choose other securities. 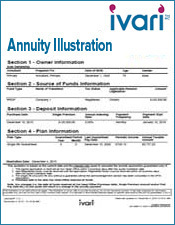 When you agree to a life annuity you cannot alter the agreement.